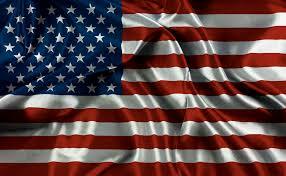 It is early morning on Memorial Day in the United States. It rained last night and it is surprisingly cool. On mornings like this a ribbon of mist hangs over the river a quarter of a mile to the north. The fog snakes its way through the valley like a river suspended in the air. Sitting on the back porch sipping coffee I can hear an axis buck snorting in the trees to the east. It is going to be a great day. Having spent several days earlier this month as a guest of the Air Force, I understand Memorial Day better than ever and have a much greater appreciation for its meaning. The debt we owe to our service members past and present can never be repaid. Acknowledging that obligation is the first step in an attempt to discharge the debt. I have written about this before in an essay titled “The Debt”. I hit the sweetest of sweet spots in the martial history of the United States. Born in 1966, the war in Vietnam was long over by the time I turned eighteen. The Gulf War in 1990 was over in less than six months and was happening a million miles away from my then home base in Hawaii. Nothing was ever asked or required of me. What then should I do to show my gratitude to those men and women living and dead that made and continue to make my comfortable, back porch way of life possible? While there is no way for me to fully repay the debt I owe to my country for the opportunities I have enjoyed, I can knowingly acknowledge the obligation for the tremendous benefits we share from our collective history. Thank you to my great uncles that fought World War II, to my uncles for their sacrifices in Southeast Asia, for my younger cousins and nephews in Afghanistan, and for my many friends throughout the military. Memorial Day is your day. I salute you in gratitude.